Why Should Drivers in the Edmond, Moore and Norman Areas Choose Bob Howard Chrysler Jeep Dodge RAM? Of course, there are many reasons, but perhaps the most important is the incredible service we offer. From taking our time to ensure our customers have the best car buying experience when choosing a new Chrysler, Jeep, Dodge, RAM model, to working towards each of our clients obtaining the car loan or Chrysler, Jeep, Dodge, RAM lease that he/she is most comfortable with, our commitment to you is unsurpassed. From the latest selection of new models to our incredible variety of used cars here in Oklahoma City, Bob Howard Chrysler Jeep Dodge RAM likely has a model that will perfectly suit your personal style. And, of course, our friendly auto gurus are happily on hand to answer any questions you may have, as well as provide information about that model you’re eyeing. 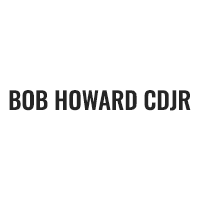 Bob Howard Chrysler Jeep Dodge RAM provides much more than new and used vehicles, however. Current Chrysler, Jeep, Dodge, RAM owners love our onsite car service and maintenance center. Employing only highly trained technicians that use certified parts from the manufacturer, we make servicing your vehicle a simple, pleasant experience. From your initial auto search online until you drive off of our lot in your new or pre-owned vehicle, Bob Howard Chrysler Jeep Dodge RAM is excited to be your preferred auto partner. If you’re interested in any of our incredible products or services, don’t hesitate to contact us online or by phone, or simply swing by our convenient 13250 North Broadway Extension Oklahoma City, OK location, today. We look forward to meeting you soon!